I took a flight to General Santos City from Manila for a 4-day trip to Mindanao for Project 888 of YesPinoy. Second of three trips this month to set up the first four areas. It was again very fruitful, productive and the support from the two areas is amazing. Read about it for Sarangani and Sultan Kudarat. Tito Roy Maturan and tito Tobit Caporal of CFC FFL helped me get around as we went to the Sarangani Provincial Capitol in Alabel, Coffee Club 101 in Robinson’s, Tanok’z (a chicken inasal place that gives unlimited FRUITS! Beat that!) for an early dinner and everywhere else in between. Aside from the Project 888 meetings we had, I was struck by our meeting with Ms. Michelle Solon of Go Sarangani Travel. There is so much to see in Sarangani! Zip lines, paragliding, cultural events, white sand beaches, and more. I was invited to see more sites with bloggers, and will write about that with pictures. I had dinner with Governor Steve Solon and his family that same night at Big Ben Grills and Steaks. If you go to Gen San, you MUST eat there. 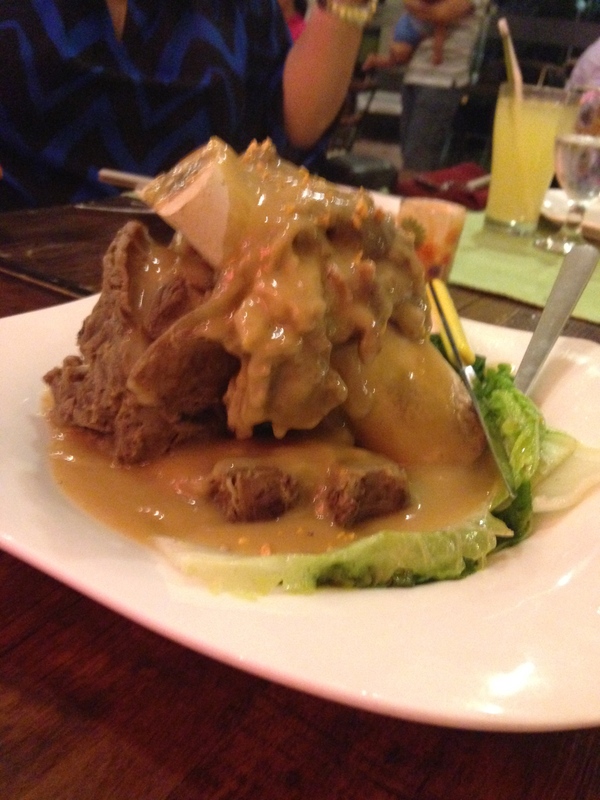 We had pinakbet rice, I got the Angus steak, and we shared the Bulalo steak. 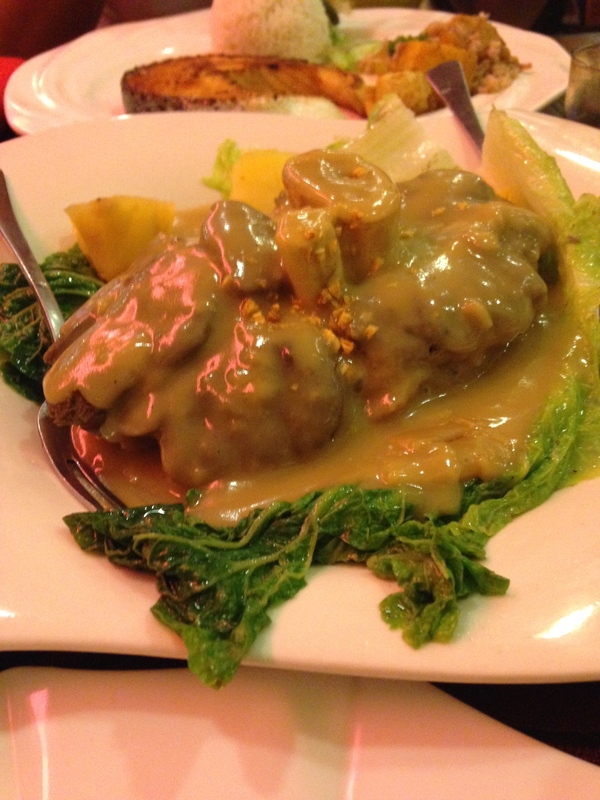 BULALO STEAK! 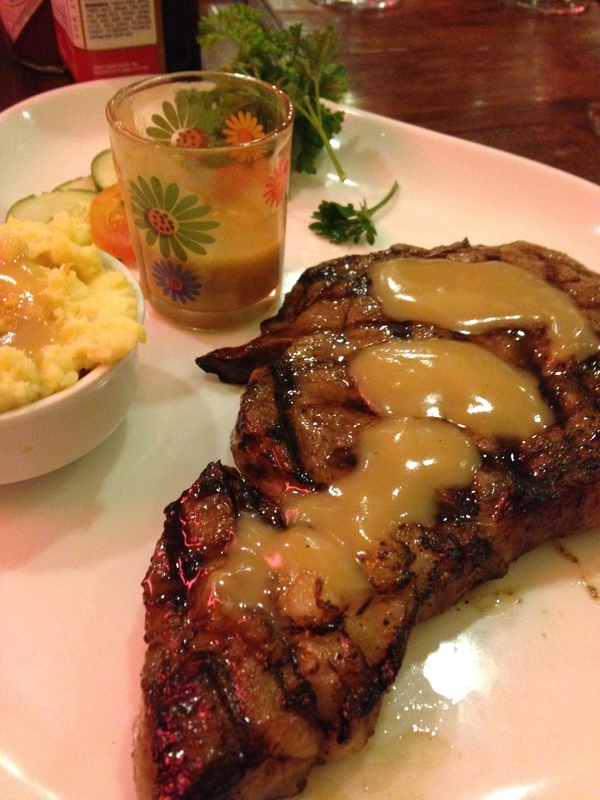 With gravy! I can’t believe how good that tasted. So awesome. I had to order pineapple just to balance everything. But it is a MUST EAT! All that on the first day! The second day Tito Roy came with me to Tacurong City, Sultan Kudarat – about an hour and a half away from Gen San. The roads going there are BEAUTIFUL. Wide roads and not full of potholes. Apparently constructed by USAID years ago. There’s just an issue with the speed limits. At one place it is only 40 KPH. 40?! On such a wide and clear road. So tempting to floor it. So I suppose that’s the reason. We had our meeting there as well, and after that we ate at…. Mesa! Yes, there’s a franchised branch in Marbel, South Cotabato along the way. And we took another stop at Buko Halo-halo. 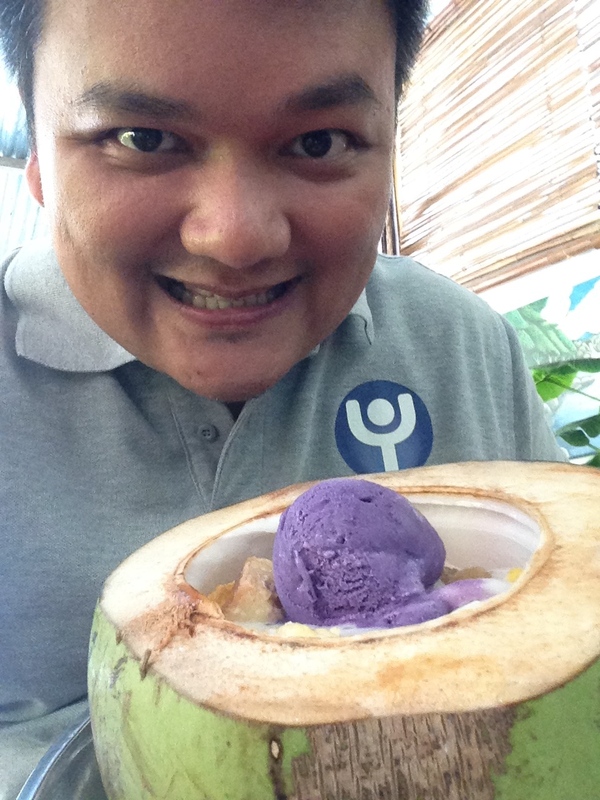 Which, you guessed it, serves halo-halo with ube ice cream in a coconut. I love ube. I love halo-halo. I love buko. Full two days. And so worth it. Now back at Driggs and ready for the excursion tomorrow!